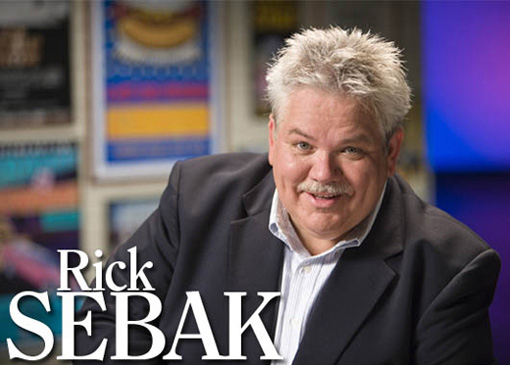 Rick Sebak makes unusual television programs. His slightly wacky documentaries celebrate various aspects of modern American life and the unexpected charms of Pittsburgh. Audiences have learned to recognize his friendly narrative style and the unusual topics that he obviously loves. Bakeries are full of wonderful things: smells, sweet possibilities, friendly bakers who sometimes wait on you. Celebrate all this oven-baked artistry in this hour-long documentary. In this delicious, we travel across America and visit shops, restaurants, cafes and even a few homes where we found some excellent pies. We consider crusts, crimping, fillings and flavors. In this sequel to his 1992 documentary Downtown Pittsburgh, Rick takes viewers on a tour of a twenty-first century Pittsburgh that's both changing and charming. Made possible by PNC and the Buhl Foundation. It's a magazine show. Lots of stories. It's produced by Rick Sebak & his trusty WQED cohorts. It's fun to watch. It's trying to be surprising. Season Three of It's Pittsburgh & A Lot Of Other Stuff is made possible by the Buhl Foundation and PNC. Rick celebrates his 25th anniversary at WQED by looking at 25 things he likes about Pittsburgh – not his top 25, just 25 aspects of living here that surprise and delight him and make him happy to be a Pittsburgher. Some of the stuff that has happened and still happens beside rivers in the Pittsburgh area. From the big mound in Moundsville, WV, to the sweeping curved corners of Vandergrift on the Kiskiminetas River north east of Pittsburgh, it's a surprising look at our region's charms. It's a celebration of engineers and innovators in the Pittsburgh region over the past 250 years. From Ferris wheels to computer games, engineers around here have helped create the modern world. We say it's a question with no easy or definitive answer. It's just fun to consider. You often hear that Pittsburgh is a city of great neighborhoods. We celebrate a few areas in Western Pennsylvania that illustrate what makes neighborhoods around here charming and comfortable places to live. A celebration of going out for a morning meal in America. We visit interesting and unusual breakfast spots across America. This tasty sequel celebrates some great breakfast spots – like Big Ed's in North Carolina, Post Road Diner in Connecticut and Square Cafe and Hot Metal Diner in Pittsburgh. This documentary looks at some history of the highway, but also includes footage of cross-country journeys with unexpected encounters that make traditional two-lane traveling so rewarding. A celebration of market houses, market places and farmers' markets across the United States. Cemeteries are of course where we bury the dead, where we mark their graves with monuments and markers of many sorts, but also where we go to remember people we have loved, admired, or learned about over the years. Rick takes a road trip in search of America's most interesting, wacky and goofy buildings, celebrating places such as the Big Duck on Long Island and the world's largest catsup bottle.